Sew easy pincushions using these free patterns. These quick-to-make pincushions are cute enough to give individually or as a towering set of three. Utilize your stash to create an oversize Courthouse Steps pincushion from 1"-wide strips. Machine-stitch a trio of cute-as-can-be pincushions with Dresden stars on top. Pick your favorite fabric scraps, a bit of rickrack, and buttons, then tie it all together with solid white. Love to work with wool? Bring garden-fresh blooms to any sewing table with folk art wool pincushions that you can stitch in an afternoon. Quilters who finish more make more. 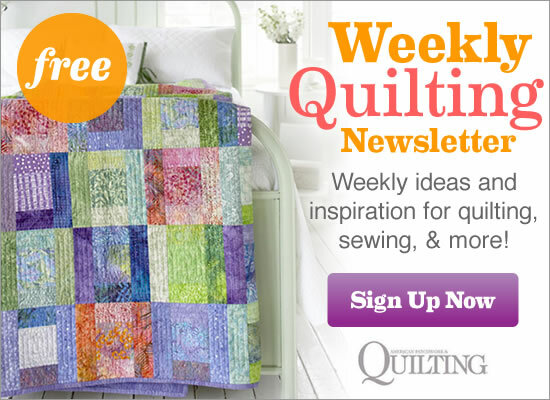 And for quilters who love to decorate theirhomes , these small projects fill that desire perfectly. This magazine features an array of 20+ new and favorite patterns. The hardest part will be deciding which one to make first! Quickly hand-stitch a trio of whimsical felt pincushions. Snip, stitch, and stuff. Soon you will have a garden of flower pincushions. Use fusible and dimensional appliqué techniques to add textural petals. Create these pincushions as gifts for quilters. To personalize them, select bits of ribbon, rickrack, and fabric from a memorable event or choose trims in colors that complement a sewing room decor. Make a bunch of acorn-inspired felt pincushions and needle books, then squirrel them away for holiday gifts. Bold fabrics, bright buttons, and colorful ribbon elevate practical pincushions to new heights. Cut and piece 5-inch precut squares to frame an appliqué panel and create a patchwork back for a handy pin keeper. Stack a set of three pincushions for a cute addition to the holiday sewing frenzy. Use felted wool scraps to appliqué sunflower pincushions to wristbands for fellow quilters and needlework artists. Bright fabric scraps make up a merry Log Cabin pincushion. Ideal for tying onto a sewing basket, these tiny pincushions are great gifts for your quilting buddies. Wool pincushions pose as spring hats, making them perfect party favors for a Mother's Day luncheon or sewing circle. Or make several for yourself and keep one in each of your sewing baskets.